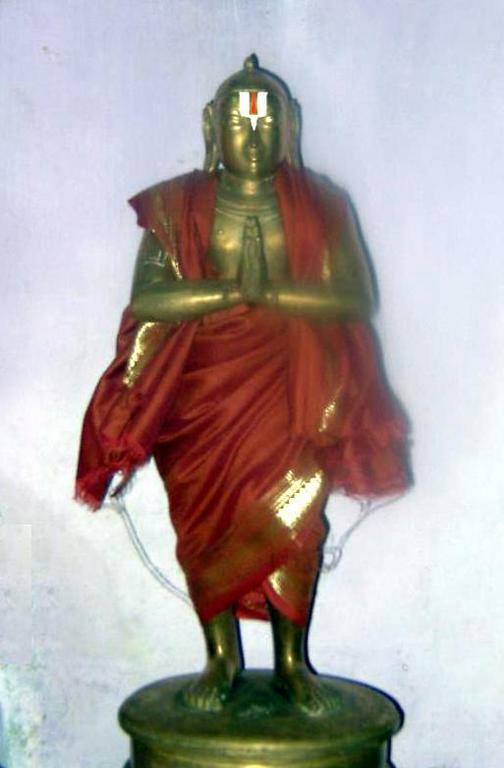 srIranganAthan is the object of glorification of thiruppaLLiyezhuchchi dhivya prabandham which was compiled by thoNdaradippodi AzhwAr (bhakthAngri rENu). In a beautiful grantham named AchArya hrudhayam, in chUrNikai 85, azhagiya maNavALa perumAL nAyanAr highlights the mahAthmAs (great souls) who sung suprabAtham (auspicious songs to wake some one up) for emperumAn to wake him up. 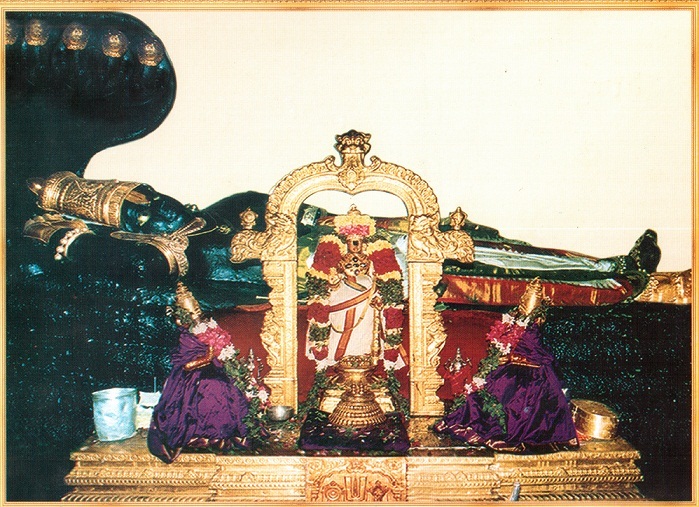 He brings out the glories of nampAduvAn (a dedicated devotee of thirukkuRungudi malai nambi) in comparing him with viswAmithra, periyAzhwAr (vishNuchiththa) and thoNdaradippodi AzhwAr (thuLasi bruthyar – one who maintained thuLasi gardens to make garlands for emperumAn) due to him singing suprabAtham to emperumAn. mAmunigaL brings out the details for the crisp words of nAyanAr. viswAmithra rishi woke srI rAma up with an auspicious slOka (srI rAmAyaNam, bAla kANdam – 23.2) which is well-known to everyone. Oh rAma who is the dear son of kausalyA! It is early morning now. Oh tiger amongst men! Wake up and engage in auspicious morning rituals. periyAzhwAr wakes kaNNan emperumAn up in his periyAzhwAr thirumozhi 2.2.1. Oh bull amongst the cowherd boys who was originally lying down on AdhisEsha! wake up and get ready to eat. 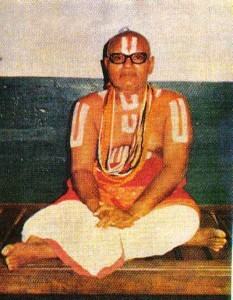 thoNdaradippodi AzhwAr compiled a whole prabandham named thiruppaLLiyezhuchchi to wake srIranganAthan up. 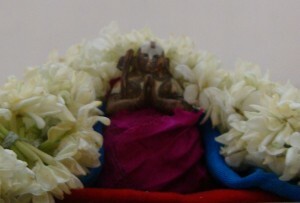 thoNdaradippodi AzhwAr was fully focussed on srIranganAthan and served him by maintaining a garden and making garlands for him. 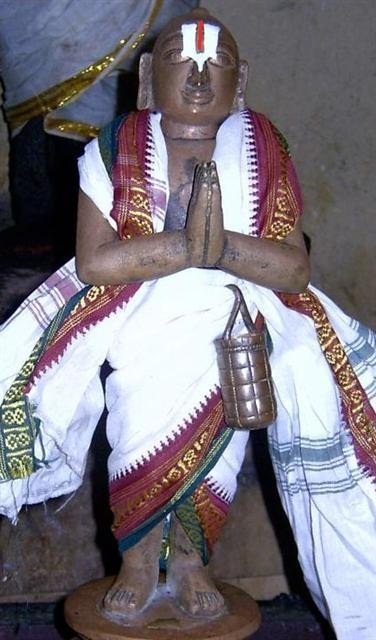 For thiruppaLLiyezhuchchi, we currently have 2 vyAkyAnams. First one written by nanjIyar and subsequently another one written by periyavAchchAn piLLai. puththUr krishNaswamy iyengar has given detailed explanations for the available vyAkyAnams in his publishing of this dhivya prabandham vyAkyAnams. With the help of all of these and the mercy of emperumAn, AzhwArs, AchAryas and asmadhAchAryan, we will see the english translation for this wonderful dhivya prabandham. This entry was posted in mudhalAyiram, thiruppaLLiyezhuchchi and tagged thiruppalliyezhuchi thondaradippodi alwar on December 20, 2014 by Sarathy Thothathri.